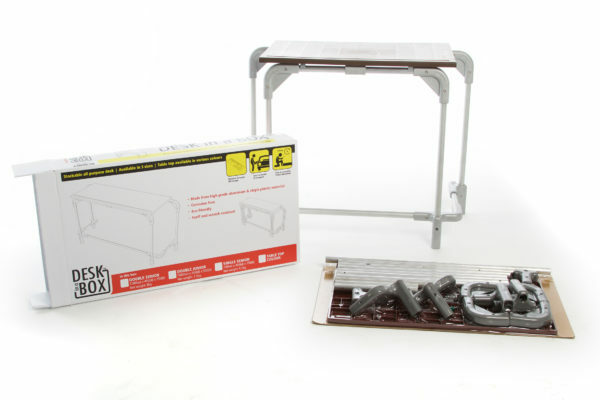 Desk in a Box is a patented furniture system that’s made from virgin plastics and high-grade aluminium. 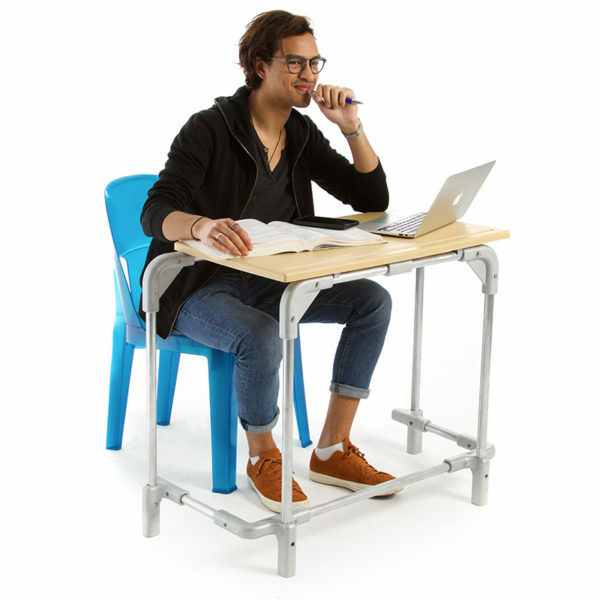 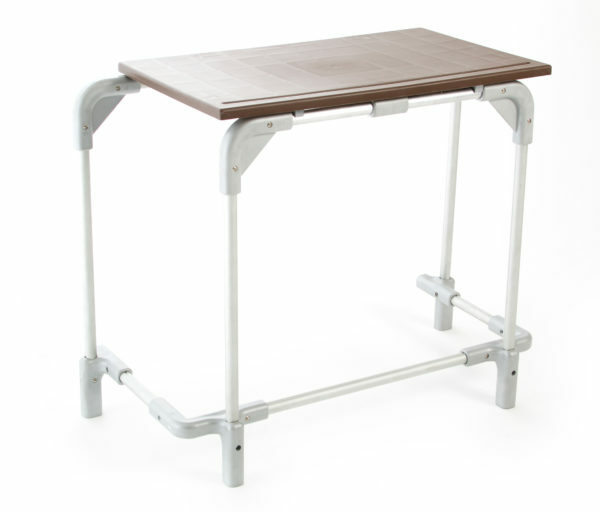 Its modular design makes it easy to setup and knockdown and, because it’s made from durable materials, it’s the most cost-effective collapsible desk on the market. 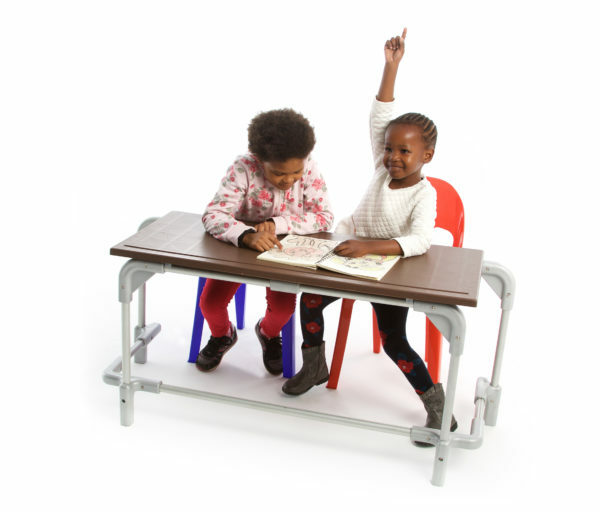 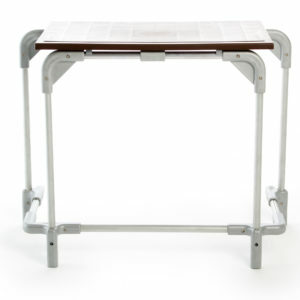 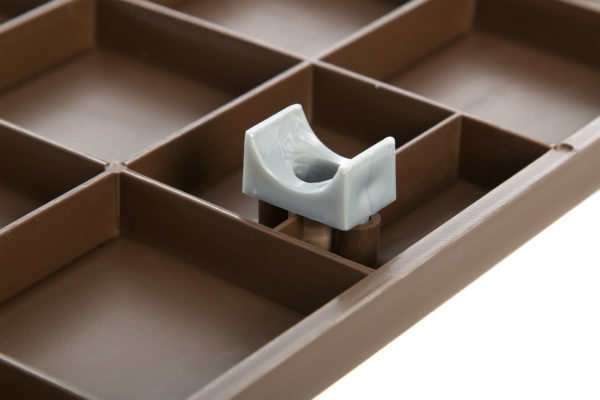 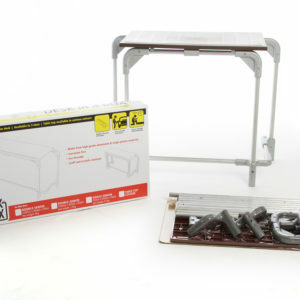 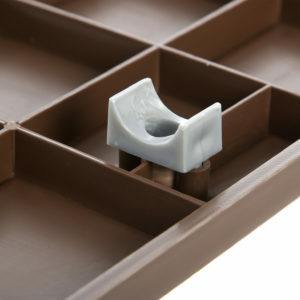 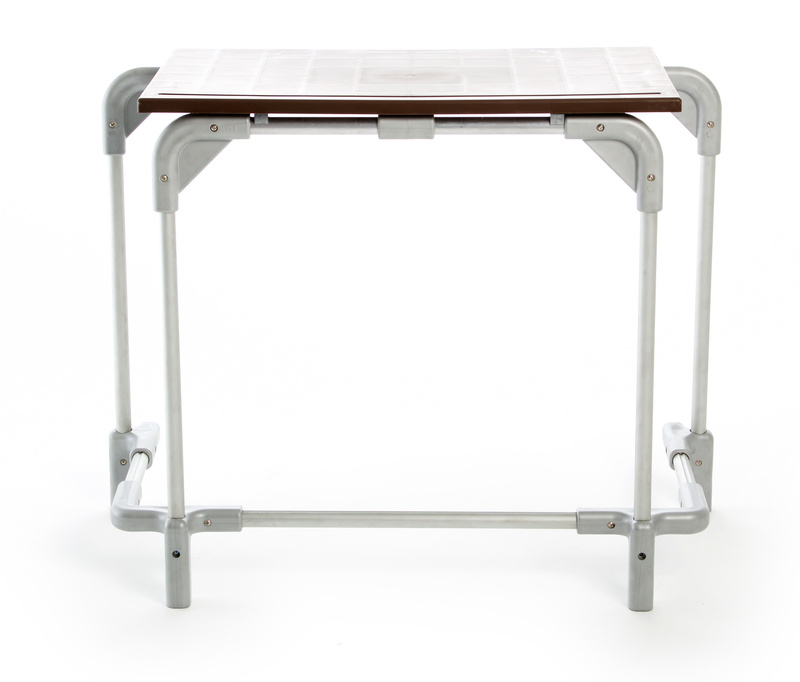 The result is an affordable product that is corrosion, scratch, weld cracking and water damage resistant – making it the perfect solution for use as a school desk, office desk or workbench at home.